A festival to celebrate Cornish ancestry has been boosted by nearly £100,000 of Objective One funding. Dehwelans, which is Cornish for 'homecoming', is planned for next year. The event is expected to attract hundreds of Cornish men and women. 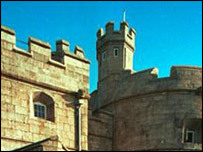 The first Dehwelans festival took place at Pendennis Castle in 2002 as a result of inquiries about family origins. Hundreds of Cornish interest groups have been set up in places as far afield as Africa, Australia, New Zealand and the US. The organisers now want to make it a big annual event. The Objective One Partnership says the festival will enhance appreciation of Cornish culture and attract more visitors to Cornwall. It is investing £95,000 of European funding in Dehwelans, which is expected to start next April.